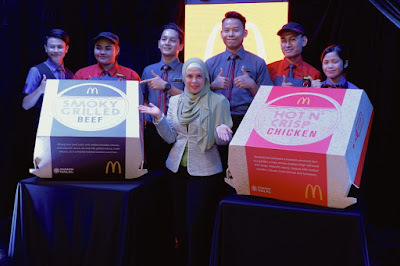 In an adventurous attempt to thrill consumers, McDonald’s Malaysia executed an undercover campaign via an exclusive ‘secret’ tasting event to reveal its Smoky Grilled Beef burger and Hot N’ Crispy Chicken burger – two permanent new additions to its menu that will be available nationwide from 26 March. 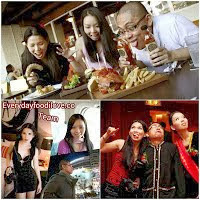 Code-named ‘Project Everin’, McDonald’s went “undercover” as an ‘international western restaurant’ opening soon in Malaysia. It had then invited a limited pool of guests to a disguised restaurant for an exclusive and secret tasting session. Guests were then served a three-course meal, all made of McDonald’s Malaysia current existing menu ingredients – with the main course being McDonald’s new burgers. 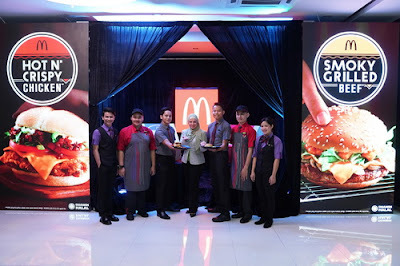 During the suspenseful finale, the restaurant LCD screens lit up with the iconic M logo to reveal that this disguised restaurant was none other than McDonald’s – much to the surprise and delight of the guests! Featuring a juicy chargrilled beef patty smothered with smoky chipotle sauce and topped with melted cheddar, grilled onions and fresh lettuce and tomatoes all sandwiched between a sesame seed bun, the Smoky Grilled Beef burger packs a powerful burst of flavours. These two new additions to the McDonald’s menu will be available from 26 March and are both priced at RM12.95 for an ala carte and RM14.95 for a regular meal set. 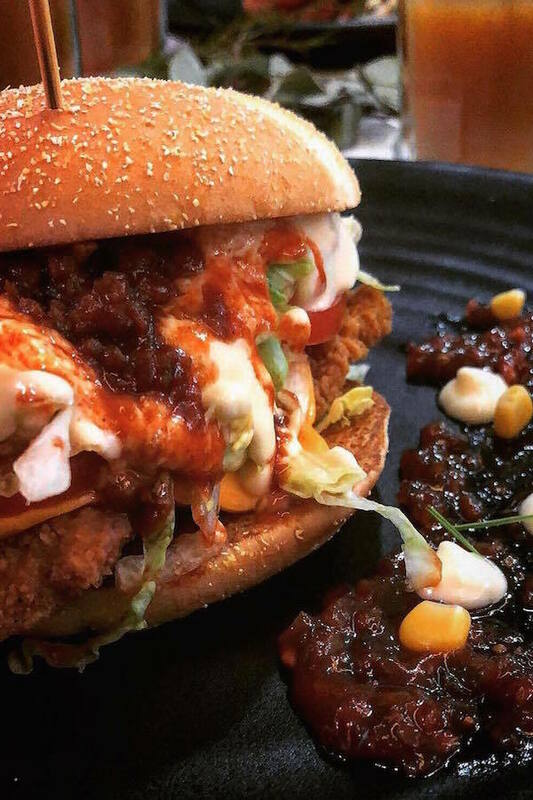 Not to be missed as well is the Hot N’ Crispy Chicken burger showcasing a succulent, deep-fried, whole chicken thigh in a tangy Jalapeno sauce topped with melted cheddar, fresh lettuce and juicy tomatoes - all nestled in a toasty cornmeal bun. “Even though it was a massive undertaking to keep this operation a secret, we’re absolutely delighted to launch these two new delicious, great quality burgers like never before,” add Pn. 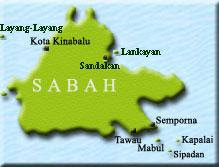 Melati. The all-new Smoky Grilled Beef burger and Hot N’ Crispy Chicken burger will be available nationwide from 26 March for RM12.95 for an ala carte and RM14.95 for a regular meal set, comprising your burger of choice, French fries and a soft drink. 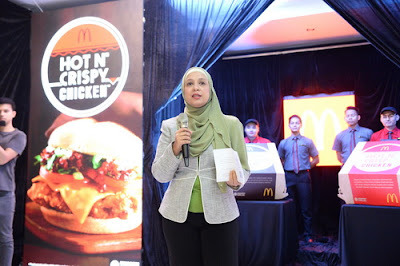 For more information on the Smoky Grilled Beef burger and Hot N’ Crispy Chicken burger, visit http://www.mcdonalds.com.my/.